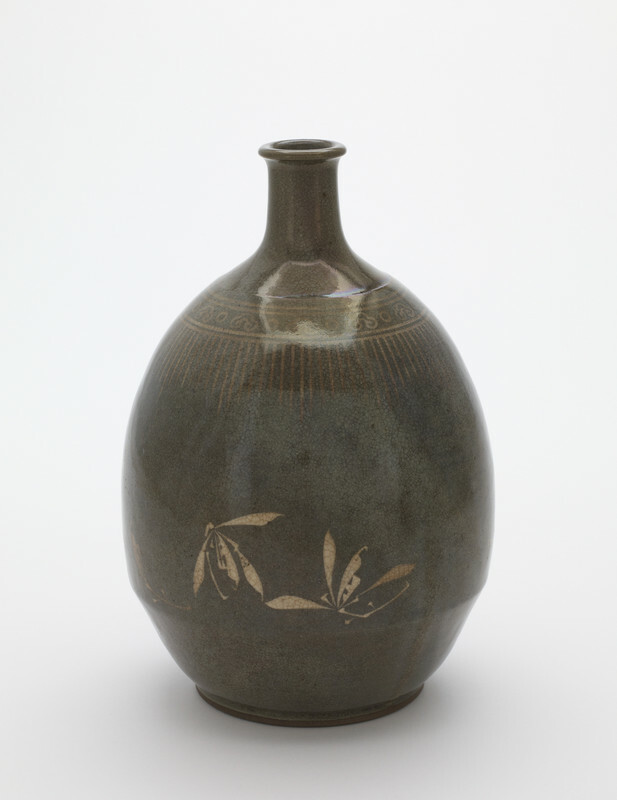 This Edo period bottle, which Freer purchased in New York from Yamanaka and Company, features a freehand spray of leaves along with a more formalized "rope-curtain" collar along the neck. In the Peacock Room in Detroit, it was exhibited with other dark, glossy ceramics, some of which were decorated with touches of gold pigment. Agano Yaguma (1795-1871), "Bottle with inlaid design of orchids," in The Peacock Room, Freer Gallery of Art, Smithsonian Institution, Accession No. F1898.140, Item #3285, http://www.peacockroom.wayne.edu/items/show/3285 (accessed April 19, 2019).